Carrie Turansky visits us again! Carrie Turansky, joined us earlier this year to talk about her book A Man to Trust. She joins us again to share about Snowflake Sweethearts. Carrie lives in central New Jersey with her husband Scott, who is a pastor, author, speaker, and counselor. They have five adult children and three grandchildren, who she adores. Carrie leads women’s ministry at her church, and when she is not writing she enjoys gardening, reading, flower arranging, and cooking healthy meals for friends and family. 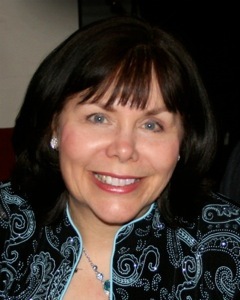 Carrie’s first novella was published in 2005, and she is now the award-winning author of ten inspirational romance novels and novellas including Christmas Mail-Order Brides, A Man To Trust, Seeking His Love, Surrendered Hearts, and Snowflake Sweethearts. She has won the Carol Award, the Crystal Globe Award, and the International Digital Award and been a finalist for several other awards. Carrie, what makes your Christmas novel different than others you’ve seen or read? Snowflake Sweethearts is set in an actual town, Fairhaven, which is the lovely historical section of Bellingham, Washington. It is the third in a series of Love Inspired books set there and includes a fun group of senior-age matchmakers who appear in each book. The story takes place September through the Christmas Season. I supposed I’d also say the unique characters make the story different than others I’ve read. The Northwest is also a less common setting. Snowflake Sweethearts – Travel back to Fairhaven, Washington, with single mom and personal chef Annie Romano. Annie has never forgotten the man she secretly admired as a teenager, and when he asks her to be the live-in caretaker for his ailing grandmother, she changes her plans and agrees. As the holiday season approaches Alex’s grandmother, her matchmaking friends and one fatherless little girl are soon pulling at Annie’s and Alex’s heartstrings…just in time for a very special Christmas. I hope readers will enjoy this third and final book in the Bayside Treasure Series. The ideas for the characters and story came to mind as I researched Fairhaven and brainstormed with my author friends, Terri Gillespie and Cathy Gohlke. I’ve always loved cooking for friends and family so I liked the idea of featuring a personal chef as the heroine. My Love Inspired editor helped me refine my ideas and tweak the plot. What time of year did you write it, and how did you motivate yourself to write a Christmas novel at that of year? I wrote it between August and March 1, so it helped that the holiday season fell in the middle of writing the book. I played a lot of instrumental Christmas music to help me stay in the Christmas mood for writing. What’s next in your writing? I am writing a three-book historical romance series for WaterBrook Multnomah Publishers set in England beginning in 1910 through WWI. The working title for the first book is The Governess of Highland Hall. I’ve loved researching the Edwardian time period, and I even took a trip to England last summer to see several historic homes, villages and the beautiful countryside. When people ask me to describe the series, I say it’s like Downton Abbey meets Jane Eyre with a little Sound of Music thrown in. To be entered in the drawing for a copy of Snowflake Sweethearts please answer the following question. (US and Canadian readers only.) Annie loved to use her talent for cooking to bless her family and friends. What is one gift that you use to help and bless others? Thanks so much, Sherri! I appreciate this opportunity to connect with you and your readers! Carrie, thanks so much for joining us! Hi Sherri, thanks for inviting me over to your blog today. I am grateful for this chance to connect with readers. Hope you and your family have a wonderful Christmas! Thank you for visiting! I hope you have a great Christmas too! Love the book cover! 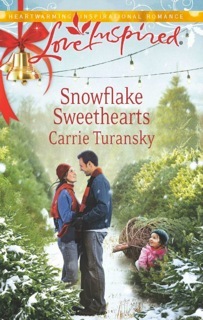 Snowflake Sweethearts sounds like it will be a sweet, fun read! I love tutoring but more often than not I feel that I’m the one being blessed when I’m helping tutor the person. 🙂 Thanks for the giveaway! I’m currently reading this book and I love it!